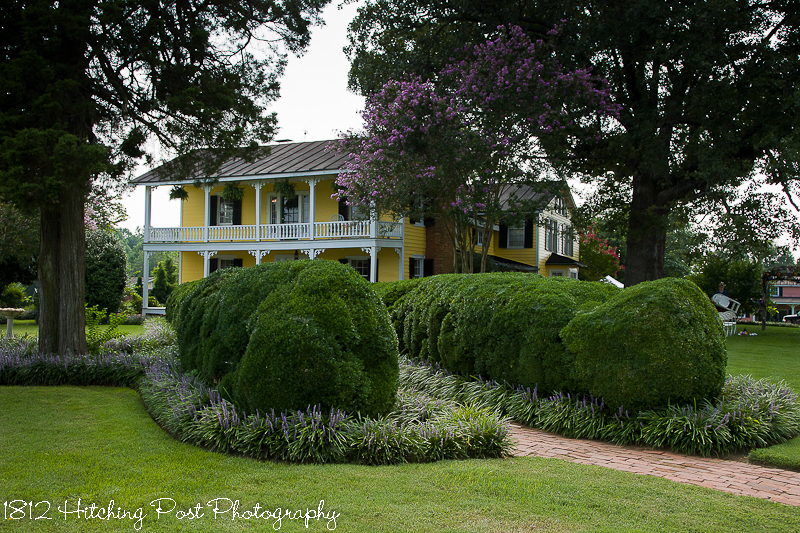 The main house at the 1812 Hitching Post is an 18-room farmhouse is the perfect place for your wedding day gathering. All public rooms of the main house are open and available for you and your guests. There are four unique bathrooms in the main house for your guests as well as other rooms that can be decorated for your wedding. Your guests can go through the house after the ceremony or around on the brick walkways to the reception space where Wisteria Room adjoins the outdoor patio area. The bridal suite is located on the 2nd floor across the entire front of the house and includes the upstairs balcony. This is typically where the women in the wedding party, including the bride, get dressed before the ceremony. The balcony extends across the front of the 1812 Hitching Post. It’s a great spot for photos before the ceremony. Take advantage of that natural light! An upstairs room dedicated to our photo booth and props. This is a first floor dressing/lounge area with adjoining bathroom. The guys get dressed in either the Chocolate Room on the first floor of the main house or in the Willow Cottage. The Willow Cottage is a separate 2 bedroom house located behind the main house reception area.